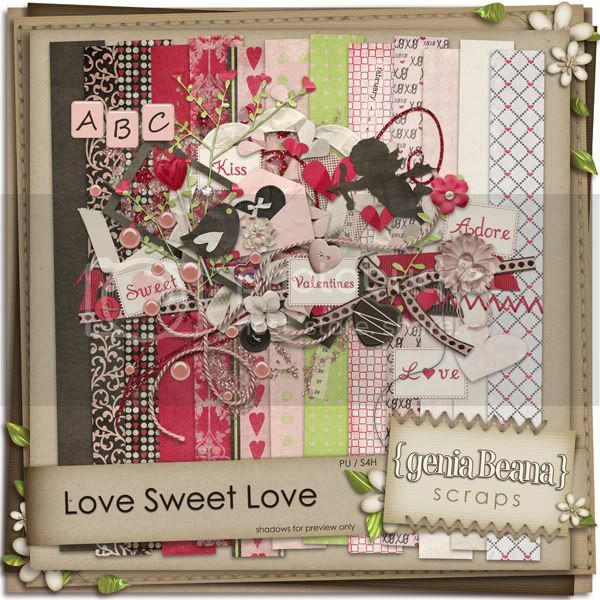 geniaBeana Scraps: Love, Sweet Love with a Freebie, too! 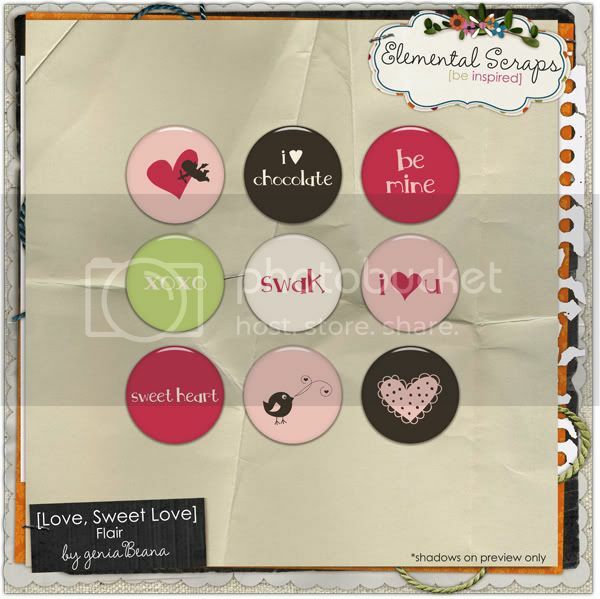 Love, Sweet Love with a Freebie, too! 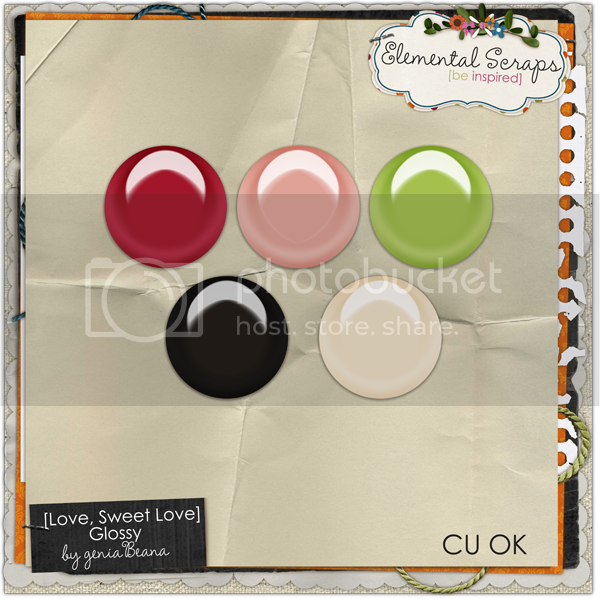 I've got a beautiful new kit in my shops at ES and GDS this week. 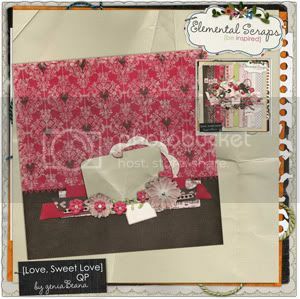 Love, Sweet Love is a beautiful, romantic kit that is perfect for scrapping Valentine's Day layouts or everyday pages of those you love. It is filled with beautiful colors, elements, and textures. Here are a few coordinating items, too. 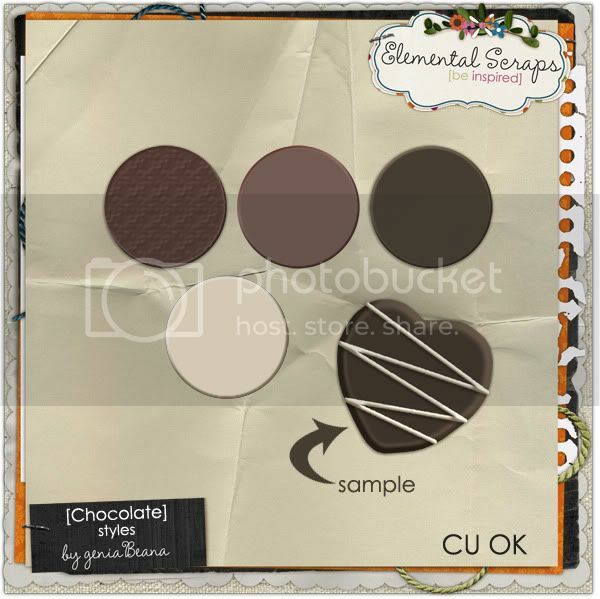 I've also got this YUMMY set of CHOCOLATE layer styles. All new releases are 40% off for the next week. I'm also excited about an upcoming collab release. Check back this weekend to find out more. Thank you! Your blog post will be advertised on the CraftCrave DigiFree search engine today (look for timestamp: [20 Jan 03:56am GMT]). Thank you so much for this Freebie. 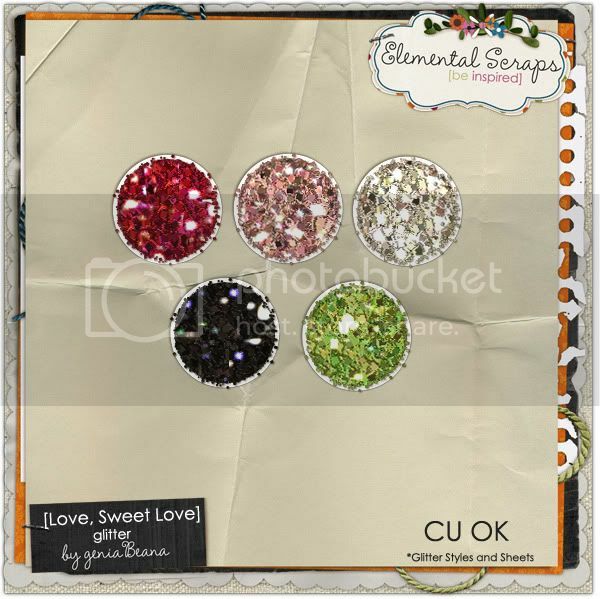 I want to let you know that I posted a link to your blog in CBH Digital Scrapbooking Freebies, under the Page 7 post on Jan. 20, 2010. Thanks again. This new kit is gorgeous! Pink & brown has to be my favorite color combo. This is definitely going on my wish list! Thank you very much!! I love your new kit! Sales and the GDS Daily Download! New Collab with JennCK Designs! Wintery Color Play Today at ES!